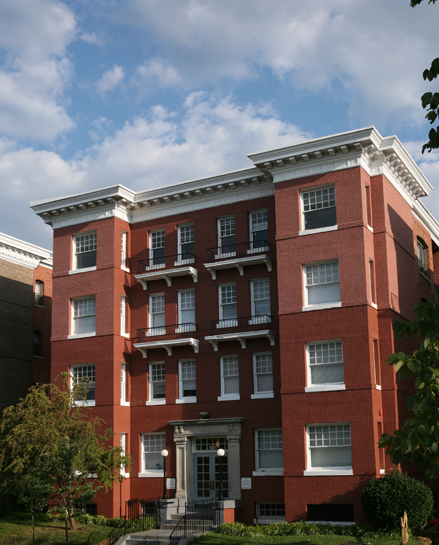 Five buildings constructed in 1912, listed on the National Register of Historic Places and located between some of the District’s most vibrant historic districts of Logan Circle, Dupont Circle and the U Street Corridor were preserved as affordable housing against the threat of condominium conversion. “A lot of new condos have been developed in this neighborhood. The threat was that these building would be converted to luxury condos, and all the residents would be displaced and they would not have had other options for staying in this neighborhood,” explains Rob Richardson, IBF Development’s president, who worked on this project for NHT Enterprise. The buildings had been part of the affordable housing of Washington, DC for forty years before the owners put the buildings up for sale in 2007. In partnership with the Five Voices of R Street Tenants Association, NHT Enterprise and the Hampstead Development Group purchased the buildings with Low Income Housing Tax Credits (LIHTC), tax exempt bonds, a loan from the DC Department of Housing and Community Development (DHCD) and a grant from Enterprise’s Green Communities Initiative. The property had an existing Section 8 Moderate Rehabilitation contract, which complicated the transaction because LIHTC’s are prohibited from use along with Section 8 mod rehab properties. Hampstead and NHT-Enterprise had to develop a creative solution, so they kept the Section 8 mod-rehab contract in place temporarily, but scheduled the opt out process so that the contract would be terminated before the project was placed in service. 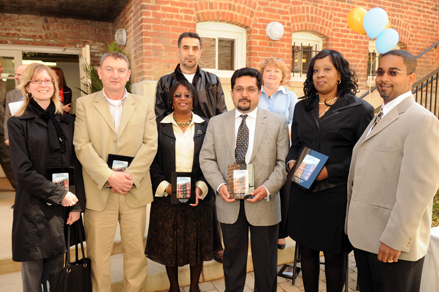 Tenants previously supported by the mod-rehab contract were given vouchers to replace the subsidy. The property is surrounded by amenities and has an almost perfect walk score of 95, which means that a wide array of amenities and services are within easy walking distance of these apartments, from metro and buses to grocery stores and doctor offices. The improvements include renovated kitchens and bathrooms, updated systems, new handicap-accessible units, an expanded community center, a new computer lab and free high-speed internet service. When the redevelopment was completed, 130 apartments were preserved as mixed income housing serving families making less than 30% of the area median income up to market rate renters in one of DC’s most coveted neighborhoods.